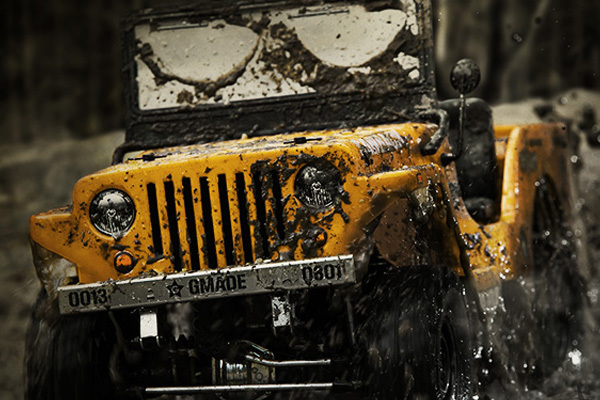 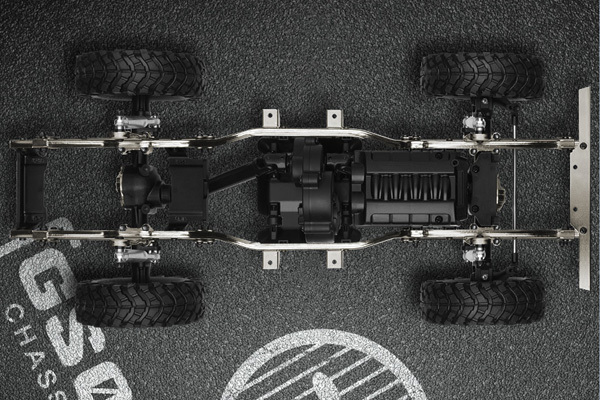 To get the power to the axles, a dust proof transmission is used. 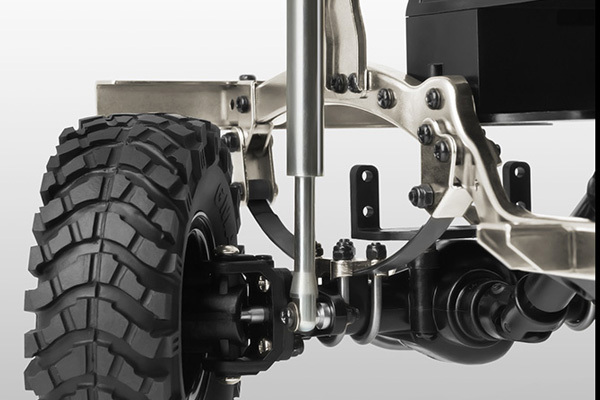 The transmission housing features a metalmotor mount to keep everything precise and secure. 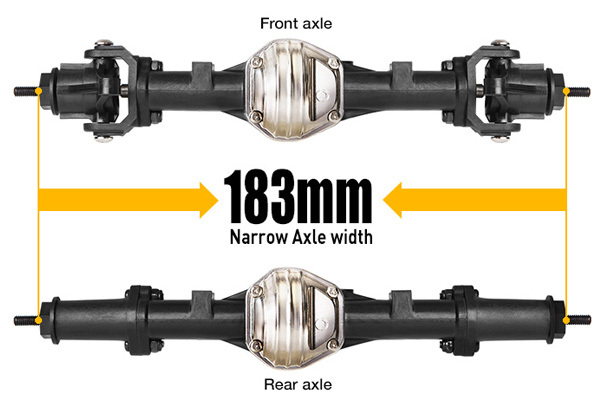 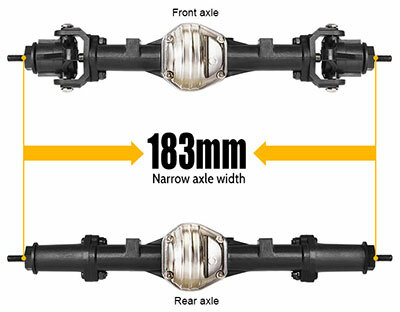 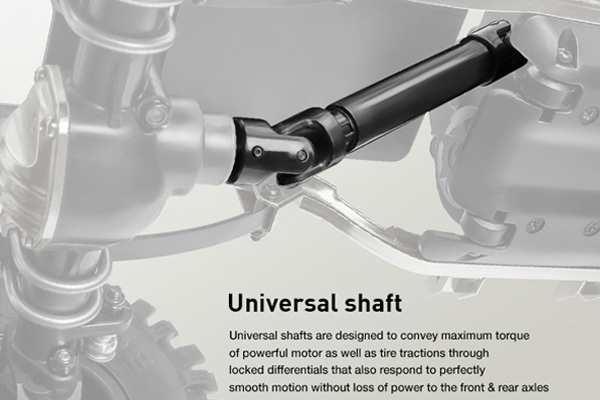 The power is then transmitted to the axles with universal shafts. 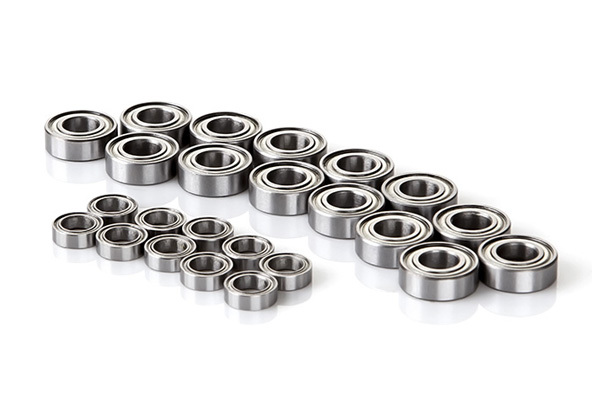 Just to ensure there is no loss of power every rolling component uses ball bearings. 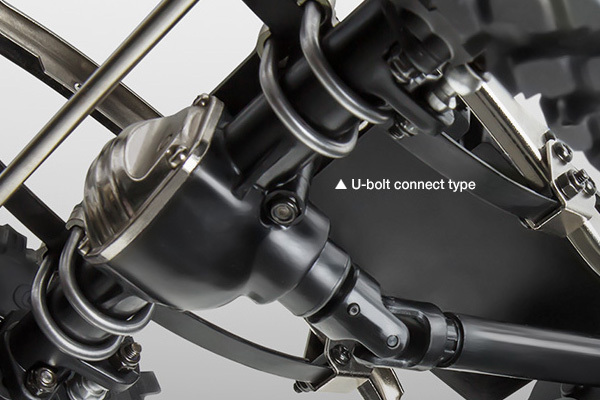 Where is all this power going? 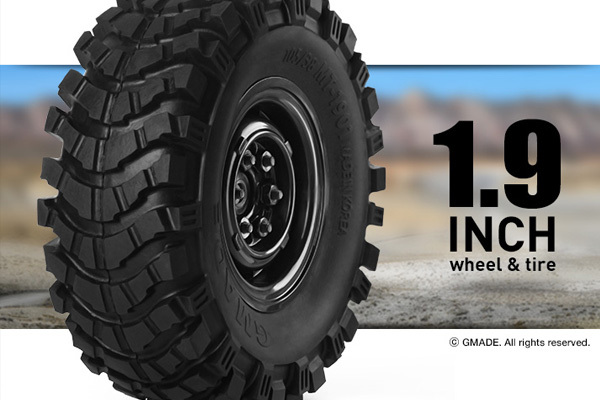 Out to the MT-1901 off-road tyres mated to VR01 1.9 inch beadlock wheels. 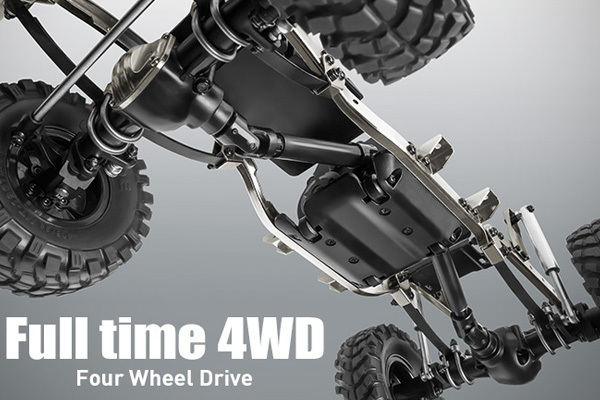 This tyre and wheel combination provides excellent traction in almost any environment. 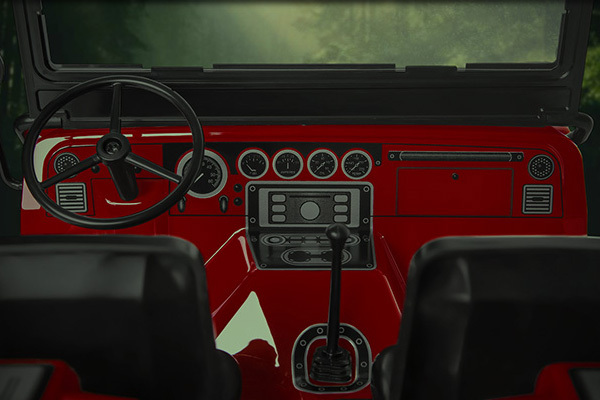 A beautiful clear Lexan scale body with driver seats, steering wheel, shifter, side view mirrors, and a fold down windshield will make anyone green with envy. 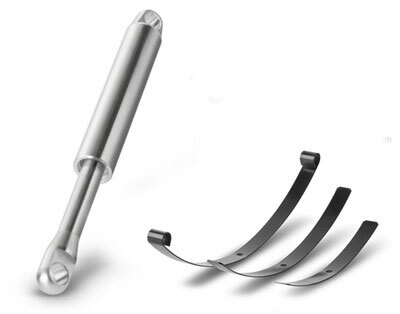 TS-03 Aluminium Shock Absorbers: Internal spring shocks with CNC machined aluminium have been added to help absorb excessive shock action. 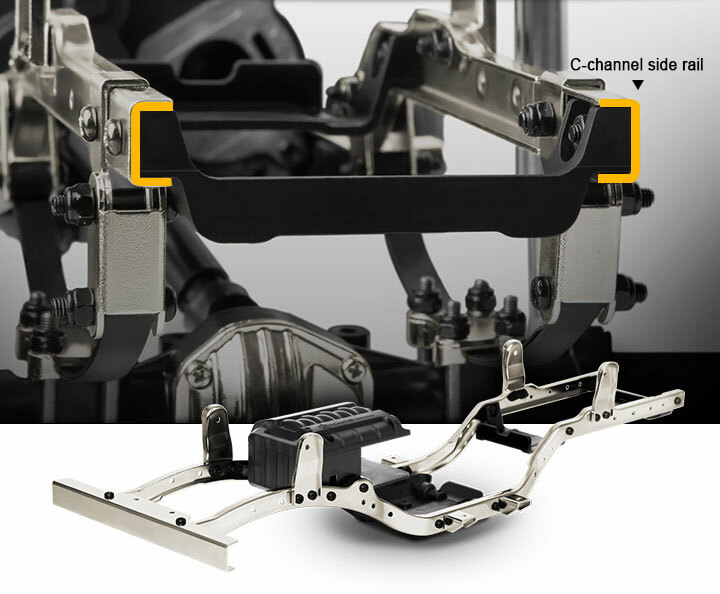 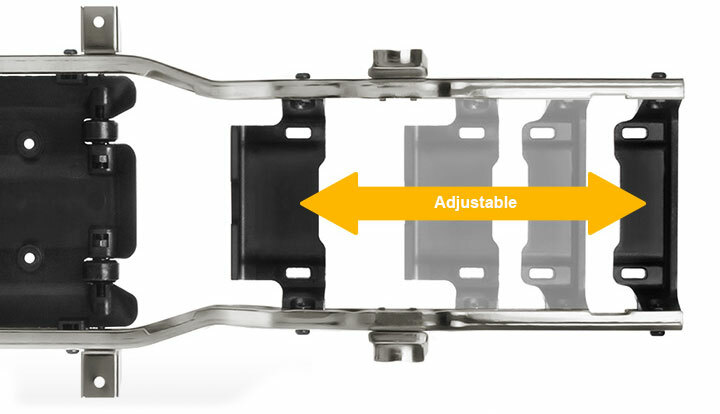 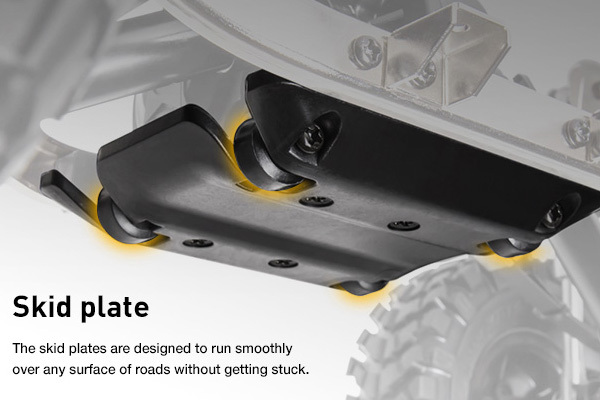 Leaf Springs: Using U-bolt technology to hold the axle and leaf securely provides great driving performance for any type of surface or setup. 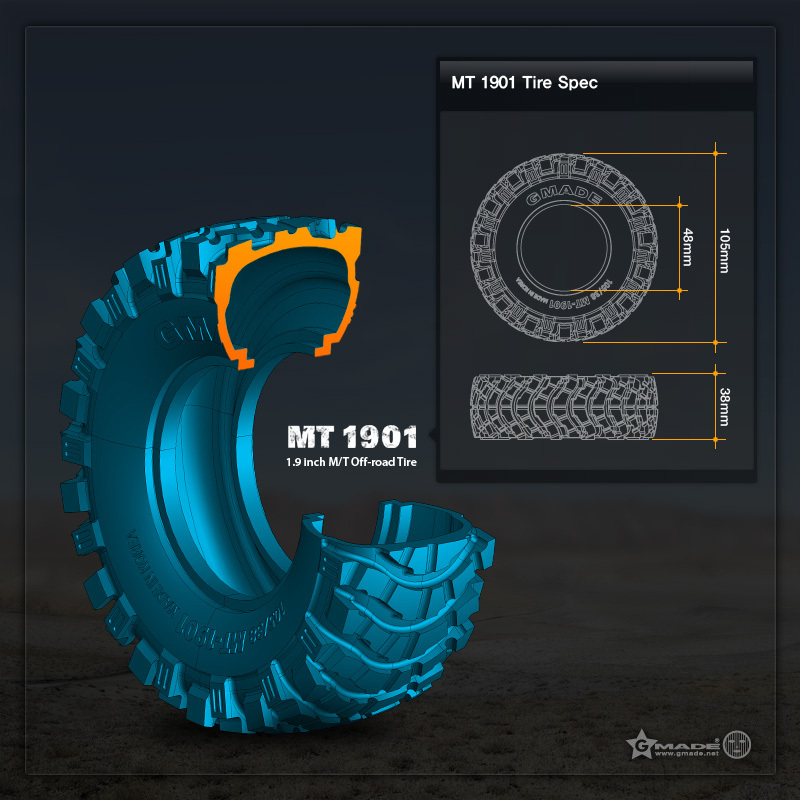 The MT 1901 is a high grip tyre designed for various rock crawlers & trucks. 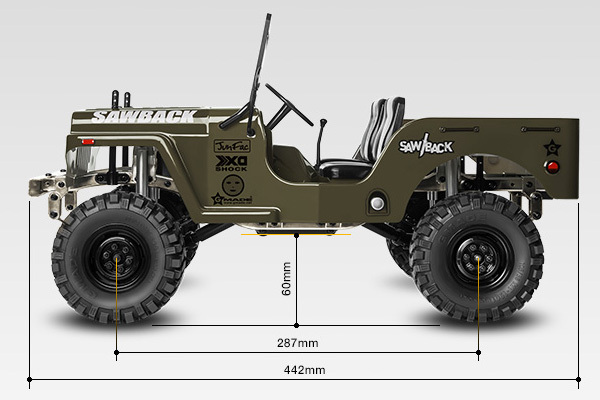 These tyres are made of super soft compounds and provide good grip over all kind of terrain with the large, deep lugs providing exceptional traction in rock, mud, and dirt. . 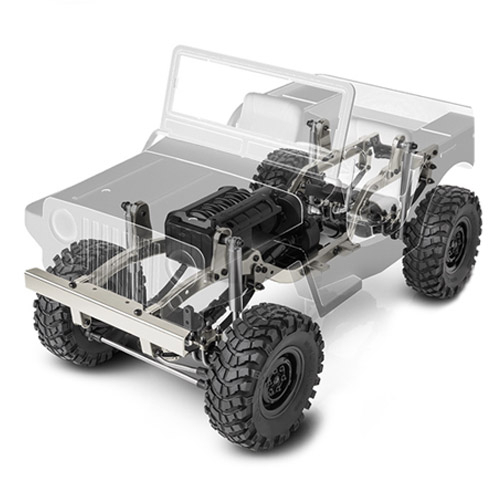 Require for completion: 2.4Ghz radio system, motor, speed controller, servo, 7.2v battery and charger and paint for the clear bodyshell. 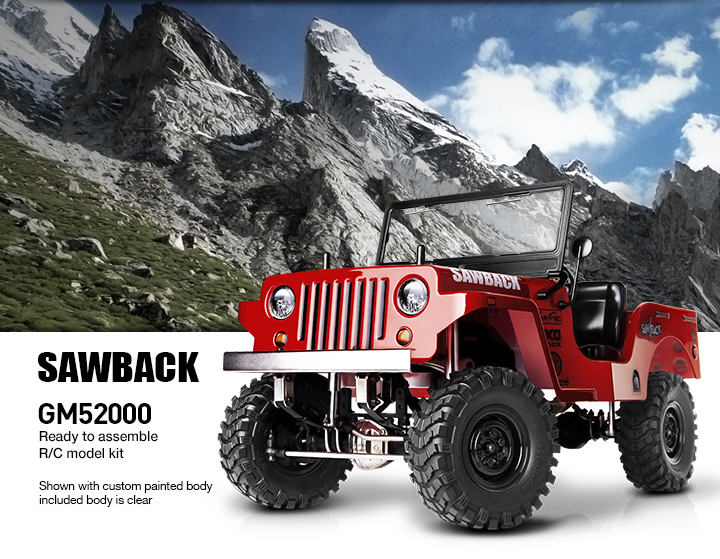 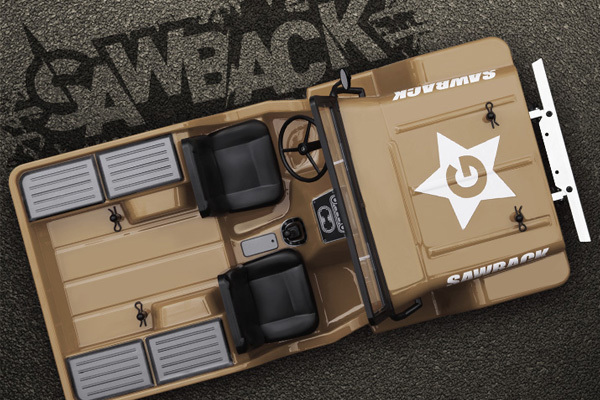 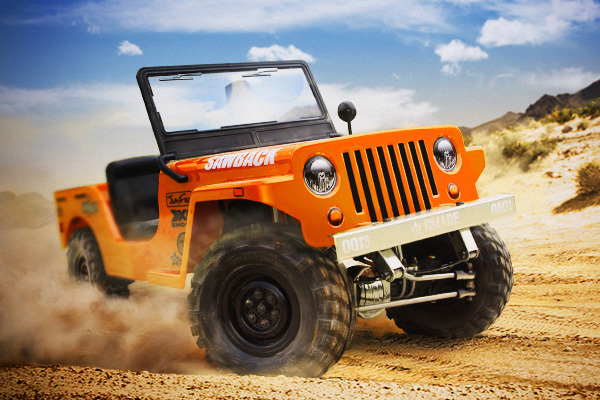 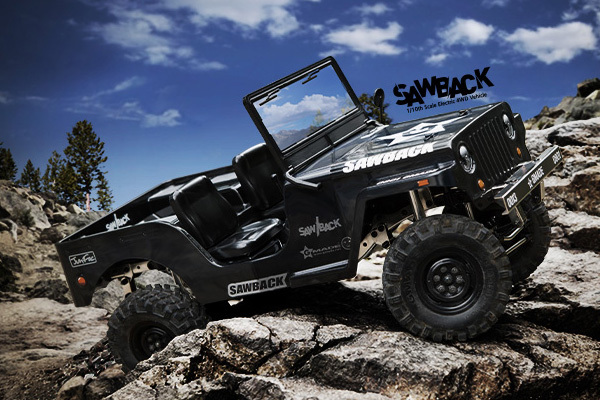 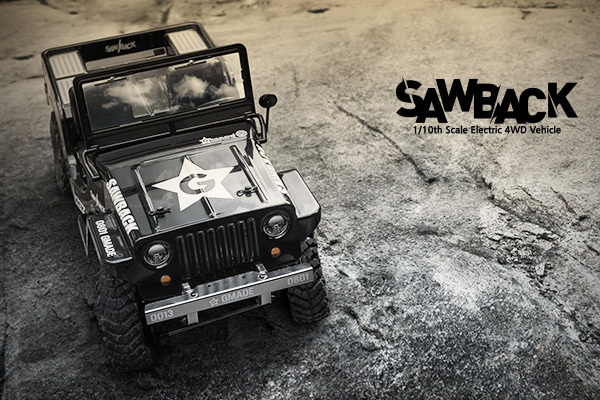 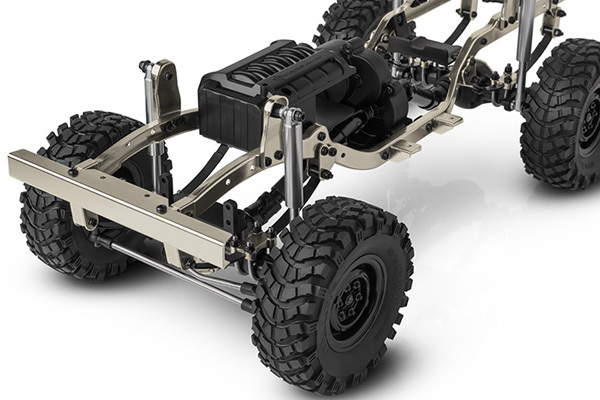 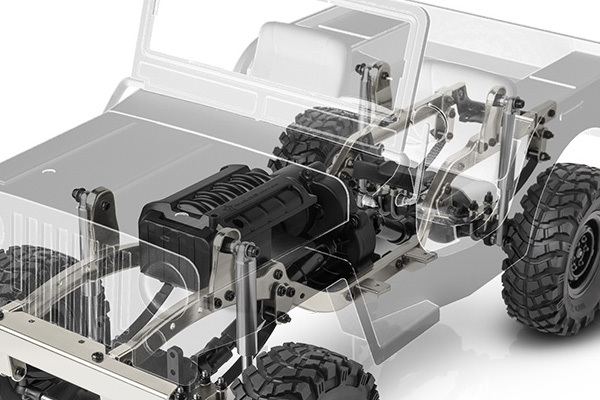 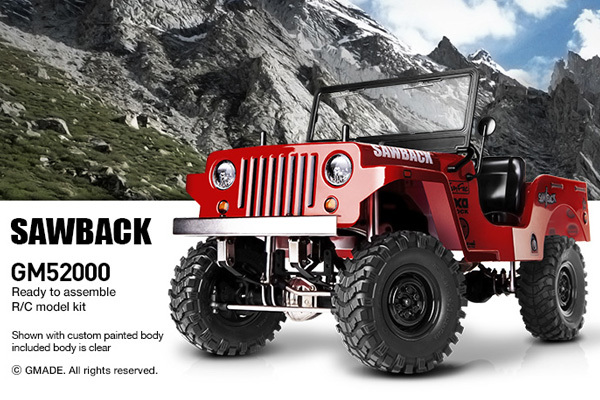 There are NO reviews of the GMADE GS01 SAWBACK 4WD 1/10 SCALE ROCK CRAWLER KIT yet!